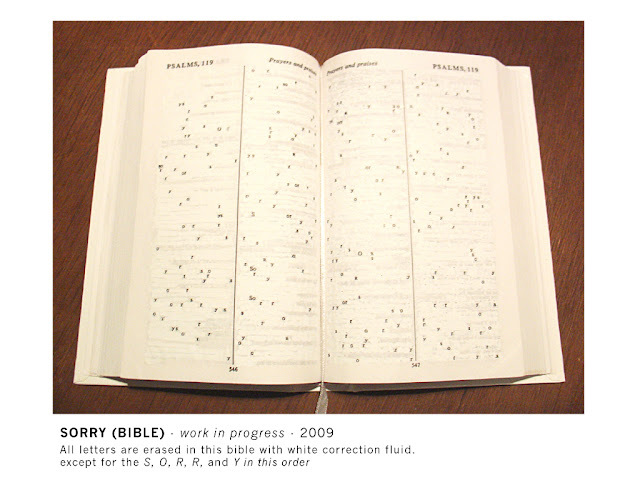 Dutch Artist Willum Geerts has taken correction fluid to all letters of a Holy Bible, except for S, O, R, R, and Y, in that order. A close-up can be viewed here. In his artist statement, Geerts says, "I share my astonishment about our absurd everyday life and ask the viewer to re-address the complex world around us. I enlarge the banal by isolating it from its regular context, mixing it with apparent opposites and by adding dramatic, theatrical elements to it." 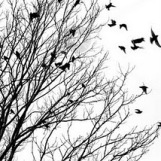 More of his work can be explored here.